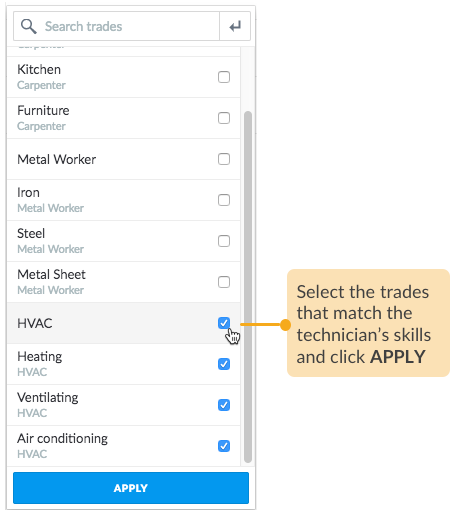 Align the range of trades offered by your business with the skills of your technicians, and use the information of your technician's expertise in a trade to make the right job assignments. 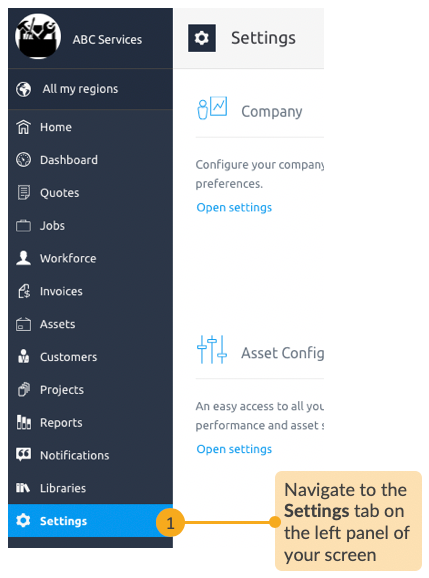 STEP 2 Open the Trades manager. 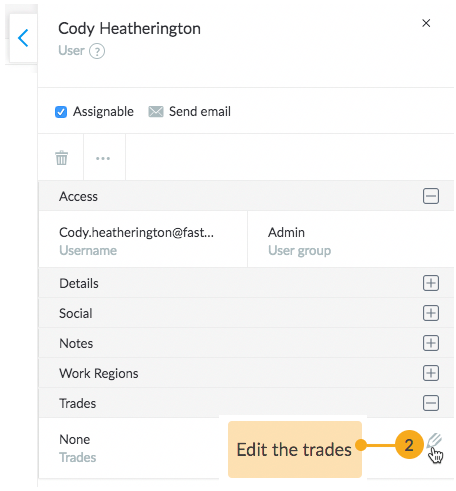 STEP 3 Open the creation wizard to add a trade and specify its secondary/sub-category trades to clearly distinguish the trade skills of your technicians. 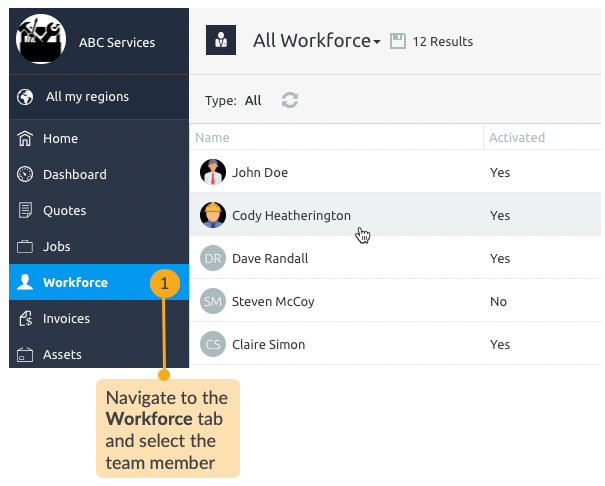 STEP 1 After you have added trades, go to the Workforce tab and select the team member. 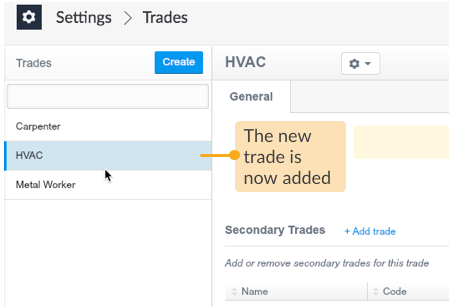 STEP 2 In the Trades field, browse through the list of trades as were recorded in Settings > Trades tab. 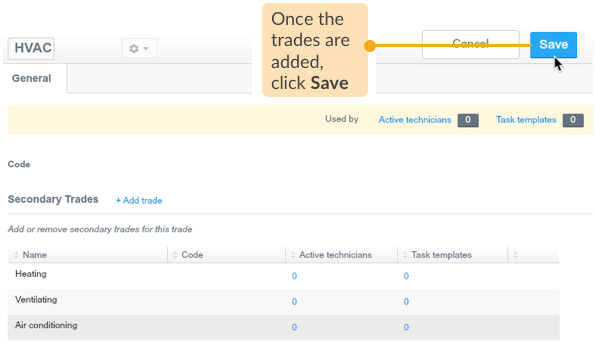 The team member is now tagged with the selected trades. 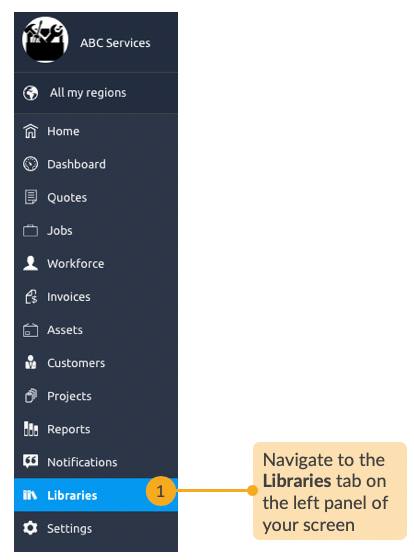 STEP 1 After you have added trades, go to the Libraries tab. 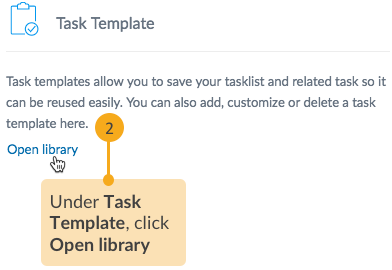 STEP 2 Open the Task Template page. 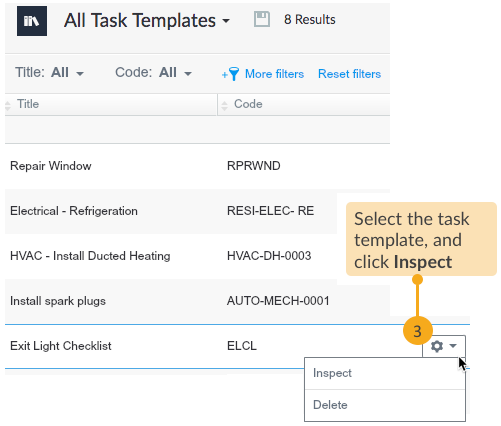 STEP 3 From the list of task templates, select the one which requires trades to be mandated. 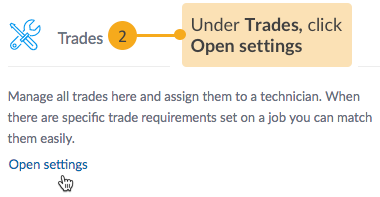 Similarly, you may enter several other trades as required to complete this task. 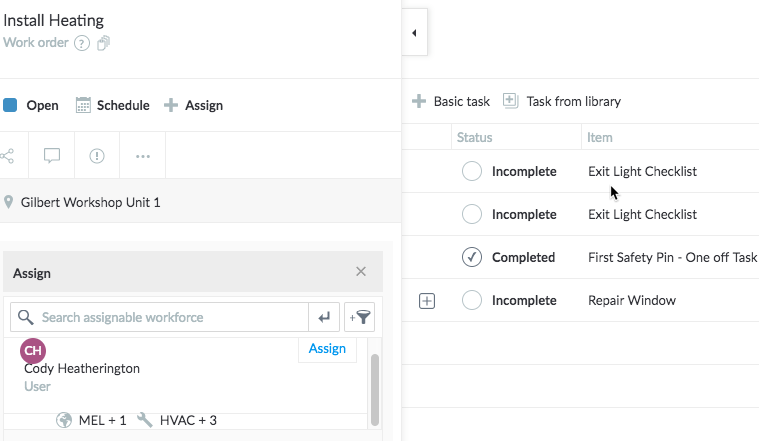 STEP 1 After you have added trades and tagged your workforce, select a job to assign to your workforce. 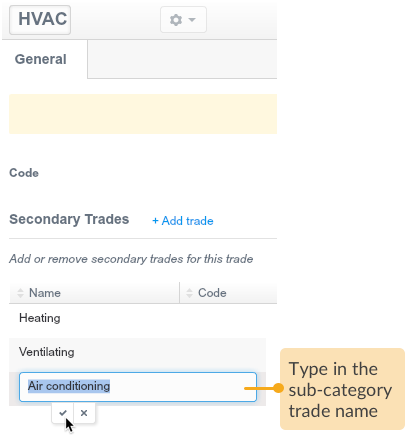 For the trades selection to work, the job must be using a task template that has the trade requirements specified. STEP 2 Select from the list of best-matched people for the job. 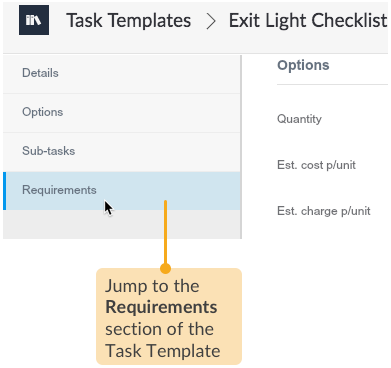 In the example above, the person has the same trade skill as required by the task template 'Exit Light Checklist' in the job. 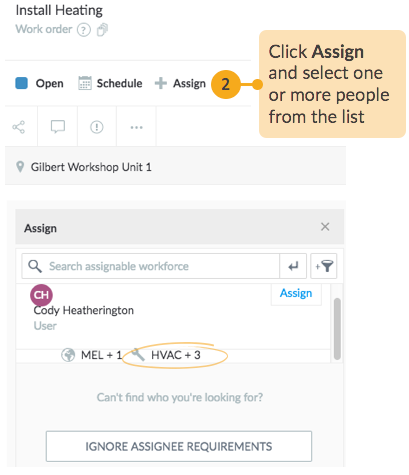 At any time, you can choose to see the full list of members of your workforce, irrespective of the trade requirements, for that, just click IGNORE ASSIGNEE REQUIREMENTS and continue Assign as usual. 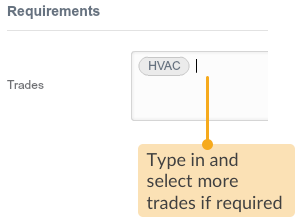 If you want to go back to enabling the trade-based filtered suggestions, turn ON the Match Trades filter. 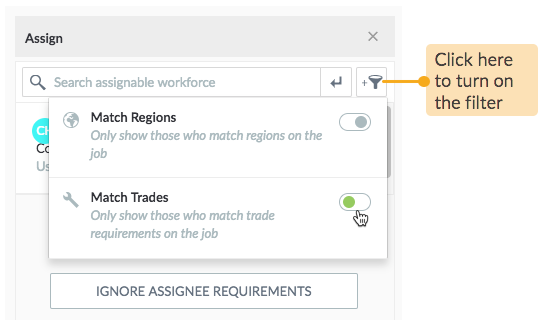 Along with trades, you can also set up regions to visually see the boundaries of assets, sites and jobs and accordingly assign your workforce based on their preferred choice of region. 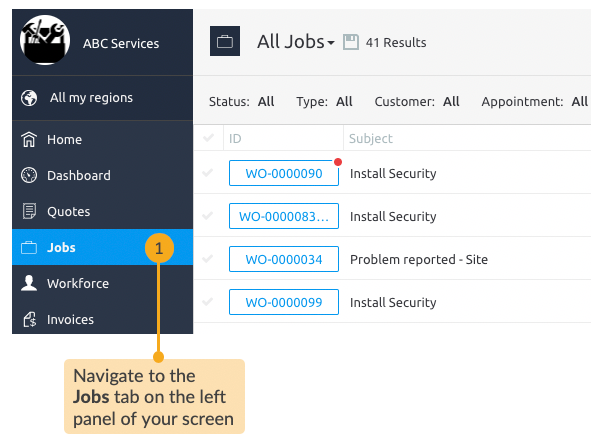 To know more, read Configure Regions and Apply to Jobs.